Story Telling and Celebrating our Mission in Action! Before coming to work at the Y, the times in my life when I was humbled by what I saw or heard were much fewer and far between…. Now…it is almost every day…this is one of those days…..
Why do people eat? People eat when they’re hungry. People eat because they like to eat. People eat when they are mad or upset. There are some people who cannot eat because they don’t have money or the means to get food. Why are children hungry? Children are going hungry because parents don’t have money to feed them. Some parents don’t have jobs, others spend their money on things they don’t need, and some parents spend money on drugs instead of food. Where do these children get food? These children depend on other family members bringing them food. Sometimes they go to soup kitchens to get food. They don’t always go with their parents because their parents often don’t care. I have known seven year old kids taking their younger brothers and sisters to soup kitchens to get something to eat. Some kids wait until they go to school and eat as much as they can at breakfast and lunch because they won’t eat again until the next day. They will pack extra food into their back packs to save for later at home. Some kids beg for money at gas stations, in front of convenience stores, on street corners, anywhere just to get money. In extreme cases, they will steal. Who should feed these children? In an ideal world the kids’ parents are the ones who should feed them by taking responsibility for their children. However, this is nowhere near an ideal world. The question remains, WHO should feed these children? I would like to know because I was one of them. 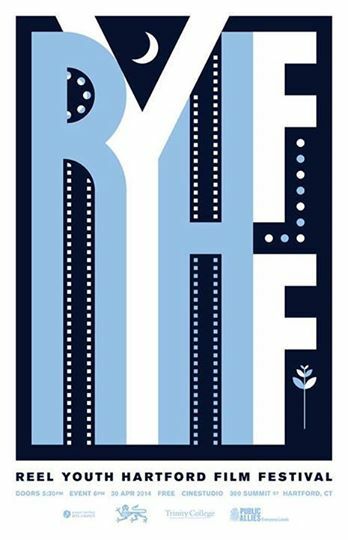 The Youth Teen Incentive Program (Y-TIP) collaborated with Billings Forge and Trinity college students on the Hartford Reel Youth Film Festival. This was their first year participating in the film festival. There were a total of four videos written, produced, and edited by the Y-TIP youth displayed at the event. These youth had the opportunity to learn a new set of skills in the area of script writing and filming. They were challenged to think outside the box and create films that addressed the many challenges that they face in their communities. Everyone did a great job and look forward to participating again next year. 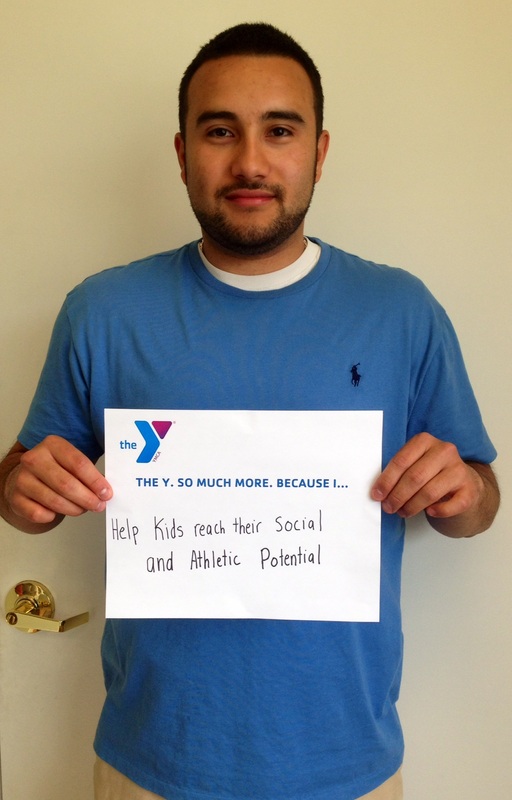 Miguel Godoy is one of our Youth Sports Instructors and will also be a Camp Counselor this summer. 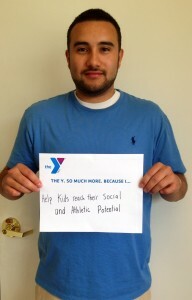 He feels that he makes the Y “so much more” because he helps kids reach their social and athletic potential. We are very happy to have him as part of our team! 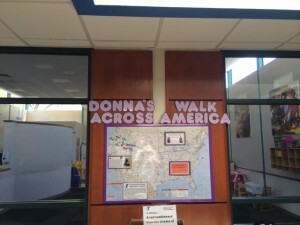 Donna’s Walk Across America – Update! 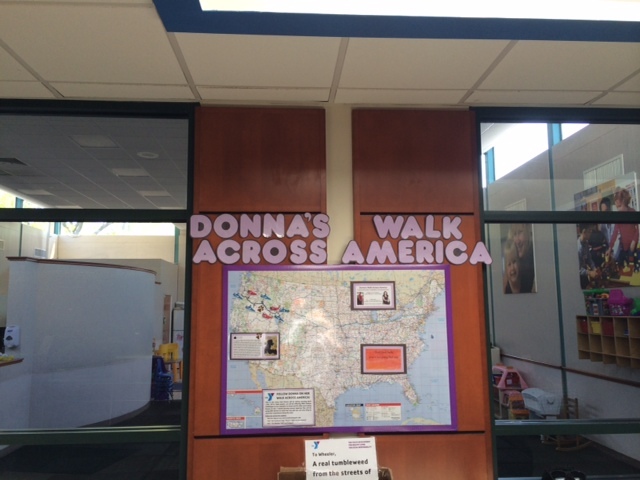 Donna’s 7 month journey is underway. As of today she is somewhere in Idaho. Along the way, she picked up a dog and now has a walking companion! After her start in Oregon, she says some days are more challenging then others. Her goal is to walk approximately 20 miles a day. But as many people know, the Midwest is filled with fields of wheat and corn and probably not the most entertaining things to look at for 20 miles. So some days she walks further than others. A week or two ago she sent us a tumbleweed! 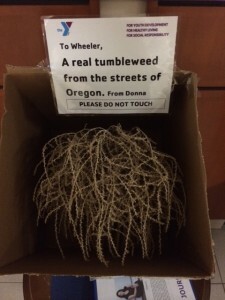 Straight from the streets Oregon! Her daily Facebook and blog posts keep us updated on her whereabouts and what she’s seeing! The Wilson-Gray YMCA hosted its 3rd annual Spring Bling Zumbathon. 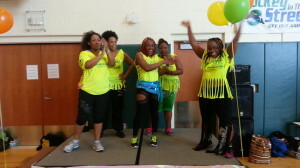 This annual event offered members an opportunity to make a contribution to the Wilson-Gray’s annual fundraising campaign. 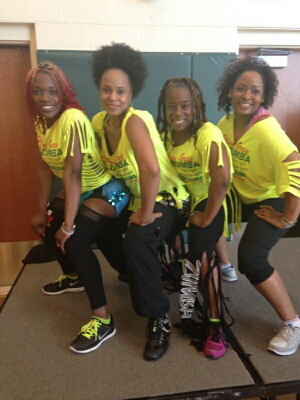 The excitement and energy was felt throughout the building as over 150 members danced to fun and inspiring aerobic routines filled with Latin and Caribbean rhythms. To help support this healthy-living event, Wilson-Grays Healthy Living teen initiative program provided healthy snacks to all. Both members and staff enjoyed the day. The day ended on a high note with members leaving looking forward to next year’s event. 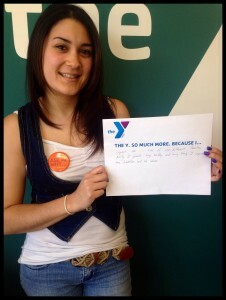 Erin-Allyn Lopez is a Preschool Teacher at the Tri-Town YMCA. She feels that she personally makes the Y “so much more” because she impacts the lives of 100 different families daily, promotes living healthy and loving freely, and inspires true friendships and life values. 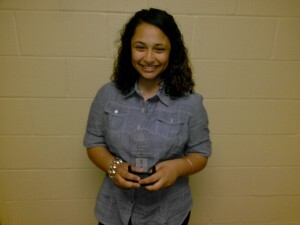 Lizandra Benitez is an eighth grade student at Catherine M. McGee Middle School where her favorite subject is science. 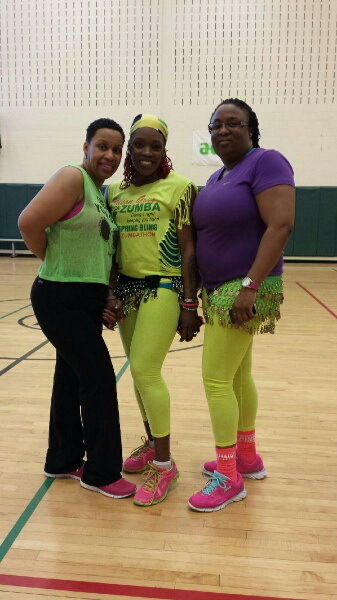 As a resident of Hartford, she is highly involved with several programs at the Wilson – Gray YMCA. In addition to being on the girls’ basketball and track and field teams at the YMCA, she is involved in numerous academic and character building programs. She is a member of Youth Achievers and a teen incentive program called Y T.I.P. She is also involved in Girls Creating a Future. In her free time she enjoys listening to music and writing. 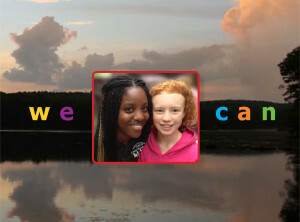 Since her favorite school subject is science, she was encouraged to participate in the Connecticut Invention Convention. The CIC is an award winning educational organization designed to develop, encourage, and enhance critical thinking skills through invention, innovation and entrepreneurship. The program is open to K-8 student’s state-wide. For her invention, Track-U-Dazzle, she partnered with Google Maps, Kay Jewelers and Pandora to make a groundbreaking jewelry line. The jewelry helps find missing people and objects using GPS technology. Along with her jewelry line, she created a Track-U-Dazzle app. Her app will work to locate missing people and objects as long as there is a chip attached to the person or object. Essentially Track-U-Dazzle aids law enforcement in tracking missing or exploited individuals. Lizandra’s hardwork paid off as she was the recipient of the Connecticut Academy of Science and Engineering (CASE) award for her invention. We are so proud of her accomplishments! A teacher called me the other day and told me that she had a student who was very smart and extremely sweet. He had been involved in some kind of violence with some boys and she was very distressed about it. She called the Y seeking help for her student. She wanted to find a safe place for her student to work out and play basketball and thought the Y would be a perfect place. I suggested to her that Wilson Grey would be a great place for him because they have a teen center and a gymnasium where he could play basketball. She agreed to pay for a youth membership for him out of her own pocket. 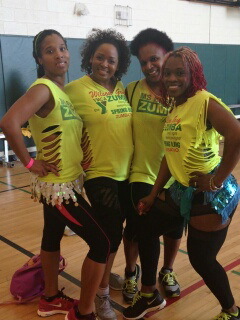 GHYMCA staff have a “hypnotic” time at AYP in Mystic! !